How to book the best Private Driver in Cozumel? Under the magical calm of the Cozumel’s turquoise waters, you will find one of the most impressive treasures of Mexico - the extraordinary sea life. Cozumel, the paradisiacal island of the Mexican Caribbean, is a place that houses reefs,beaches, and excellent sites to get to know as a tourist. However, sometimes it is difficult to decide which area to go due to the different activities you can do in the island. 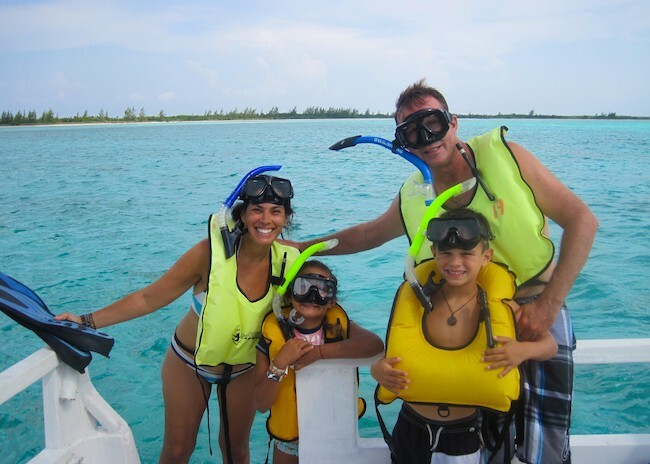 With a taxi tour for families, you and your companions can relax while you cross Cozumel. Do not keep thinking about it, maximize your trip to Cozumel with a private driver. Take your time and know the wonders of this exotic island. You will tell your friends and family about it for years. When is the best time to Hire a Driver in Cozumel to see the Island? Honestly, you should travel to Cozumel at any time of the year. Due to its stability, the climate of the island is not an impediment to knowing the wonders of the blue island. However, we always recommend that you be very aware of your schedule. In the holiday months, Cozumel receives thousands of people a day, while on calmer dates you can enjoy the island without significant problems. What makes us the best provider of Private Taxi Tours in Cozumel? You will find dozens of sightseeing tour providers in cozumel. But we know you want to get the most out of this experience. According to our past clients, our Private Driver services are the best around Cozumel. There is a lot to do on the island. We recommend that you prepare your schedule very well. The only thing that will be missing is time. In addition to the exploration activities, you can go for a good drink of tequila, or snorkel in the reefs of crystalline waters. Our English-speaking driver will be at your complete disposal. So enjoy it to the fullest with your companions. Why is the Private Driver a must hire when visiting Cozumel? Our tours are the perfect fit for those who want to unveil the natural beauties of Cozumel Island and its history. The service comes with new vehicles, and an experienced driver for a day who knows everything there is need to know. It will always depend on your calendar and the activities you plan to do. It is advisable to book your trips weeks or months before the date. Cozumel is a place that receives thousands of tourists every day. Booking a private driver will not be a problem for your group if you do it in advance. When in Cozumel, take our Private Taxi Tour, relax, and drink a cold beer or some water, because this is a journey you will never forget.